Lama Ole Nydahl started his South American tour by giving a 5-day course on Phowa – one of the highest methods of Diamond Way Buddhism – in Lima, capital of Peru. He was asked for an interview by El Comercio, the oldest newspaper in Peru. Buddhism in Peru is mainly Mahayana, and the teachings of a Vajrayana master attracted interest and curiosity. There are currently four Diamond Way Buddhist centres and groups in Peru. El Comercio: What is the goal or message of your tour? 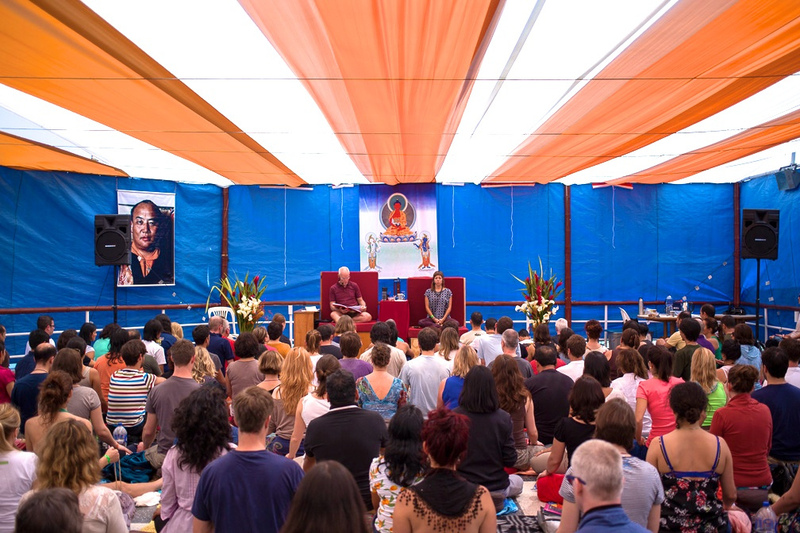 Lama Ole Nydahl: Giving teachings to those who are interested in Buddha’s 2600 year old wisdom and methods. After we’d spent four years in the Himalayas, the 16th Gyalwa Karmapa, the first incarnate lama of Tibet since 1110, asked my lovely wife Hannah and myself to travel and teach in the West. We were very lucky and today have over 620 meditating groups and centers in spiritually-free countries world-wide. 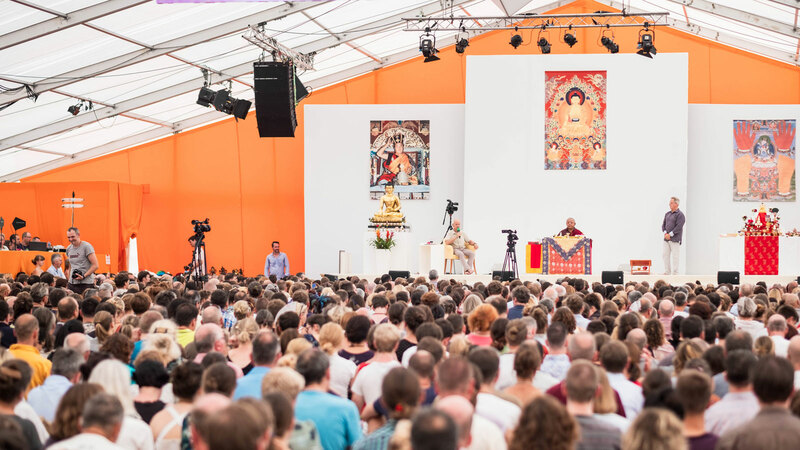 Since 1989, we’ve had the great joy of working in your lively and inspiring Latin culture, which today offers 36 Diamond Way Karma Kagyu Buddhist centres, meditation groups, university study groups and retreat centers to whoever is interested. El Comercio: What does the Karma Kagyu Lineage advocate or sustain? Lama Ole Nydahl: Basically, being aware and doing one’s best for others and oneself. This is the practical way to liberation and enlightenment. El Comercio: What is your personal view of Buddhism? 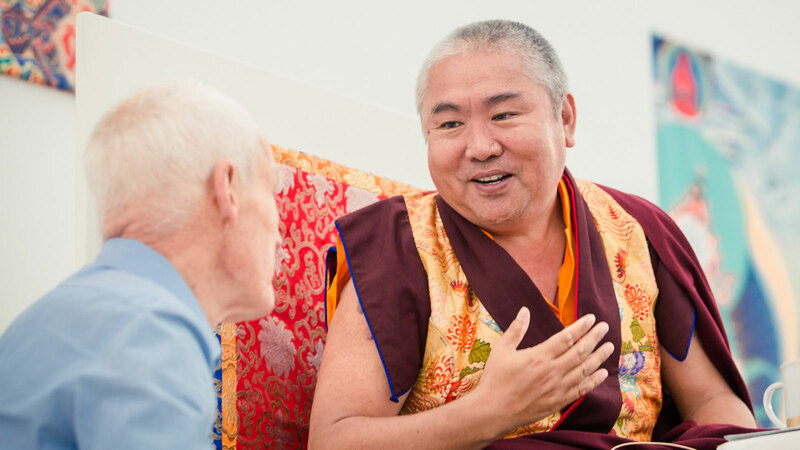 Lama Ole Nydahl: Buddhism to me is an unending source of inspiration and ways to enrich beings. It gives practical advice for peoples’ lives and unique methods like Pho-wa, which I will give near Lima, April 17-21 this year. As many know from their own joyful experience, it is a method for transferring our consciousness to timeless and blissful states at death. In my own case, I was amazed when in 2005 researchers at the Chicago sleep-study institute discovered that my brain was continually producing masses of Theta waves, which is a sign of intense happiness. Children, especially boys, usually produce them between the age of 4 and 8 when they think of gifts waiting for them under the Christmas tree. El Comercio: What is the most important thing you have learned from Buddhism and how has it changed your life? 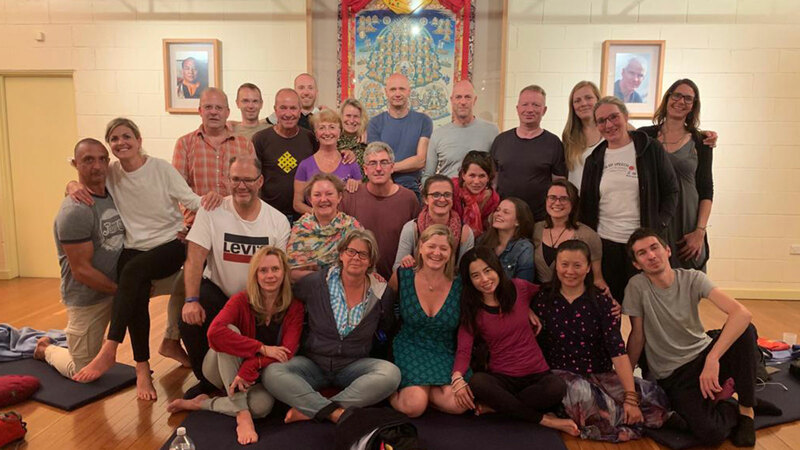 Lama Ole Nydahl: Coming from well-organized and social Scandinavia, making Buddhism useful under the wide variety of conditions in which people live world-wide produced a vast expansion of my own feeling of responsibility. It made me work harder year after year. El Comercio: Which of the Karma Kagyu teachings do you consider the most important for our Western World? Lama Ole Nydahl: Definitely the ones pointing to the ultimate and perfect qualities of mind. El Comercio: Are there proper conditions to practice Buddhism in a country such as ours, which has a particular mysticism and culture? Lama Ole Nydahl: Mind being in essence timeless space, seeing our face in the mirror we will all find similar qualities. The changing images will be impermanent and cultural but – to quote Shakespeare – “If we are tickled, will we not laugh and if cut, will we not bleed”? El Comercio: How did Diamond Way Buddhism begin and why is it called Diamond Way? Lama Ole Nydahl: Buddha taught causality to those wanting an undisturbed life, called the “Path of the Elders”. Compassion and wisdom for those thinking of others: Mahayana or the Great Way. For those wanting to behave like a Buddha, he gave the Diamond Way. It is meaningful if people understand that one can only see perfection outside because we have it inside. The term Vajrayana or Dorje Thegpa (in Sanskrit and Tibetan) was given because it makes mind become like a diamond, indestructible and naturally radiant. El Comercio: What are your teachings? Lama Ole Nydahl: The ones I prefer are the immediate and most direct ones. Trusting mind to be indestructible space brings fearlessness, that it is conscious and clear will bring joy, and seeing that all beings want happiness matures our compassion. El Comercio: How can one apply them in everyday life? Lama Ole Nydahl: Avoiding negativity. Understanding and thinking of others and finding periods for consciously developing good motivation can be made habitual and ever more blissful. If trained during meditation and protected through the use of mantras like KARMAPA CHENNO or OM MANI PEME HUNG they will bring growing stability and beyond-personal insight to whoever uses them. El Comercio: How and in what aspects does meditation help? Lama Ole Nydahl: In short, it gives space, freedom, and the surplus of energy and motivation to benefit others. El Comercio: How many sessions does it take to reach a good level of meditation? How will I know if I have reached it? Lama Ole Nydahl: This depends on impressions gathered during former lives. However, results appear in relaxed minds not expecting anything. El Comercio: Does one need a guide or teacher? Lama Ole Nydahl: Definitely; one will not see one’s face without a mirror and not know one’s mind without a teacher. All teachers have teachers; it’s an age-old transmission from Buddha. El Comercio: How does one know if you are in the right hands (the right teacher)? Lama Ole Nydahl: Check if he does and says the same. See what his teachings say and if the message is authentic or overly personal and aimed at glorifying himself. Above all, look at the people around him and see how you feel. Are they free, relaxed, and open? Or are they tight and whisper in the corners? Is the teacher proud? If he or she is politically correct, this is a highly dangerous display of insecurity, ignorance or opportunism and they will not be honest. El Comercio: Is meditation beneficial for children? And in which cases is it beneficial? Lama Ole Nydahl: Meditations with clear and understandable examples of compassion and other positive qualities, if not brought too moralistically or sentimentally, will be incorporated in their dream-worlds while negative roles will attract less interest, at least up to puberty. Lama Ole Nydahl’s South American tour has taken place in Peru, Colombia, and Mexico so far. He will continue on to Venezuela, Costa Rica, and El Salvador.